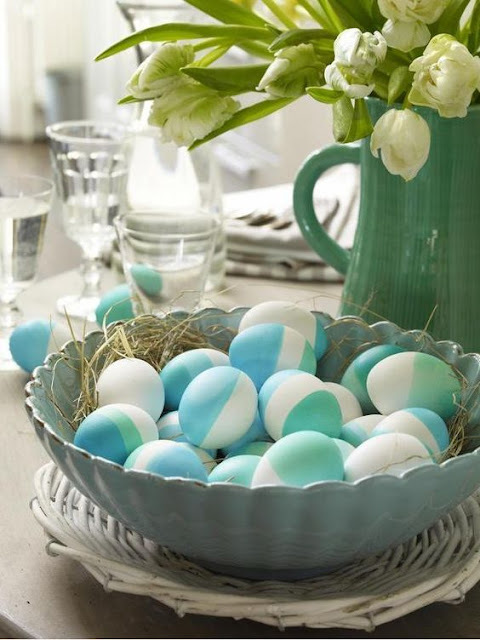 Everything Coastal....: Coastal Easter Ideas to Try! I love spring! 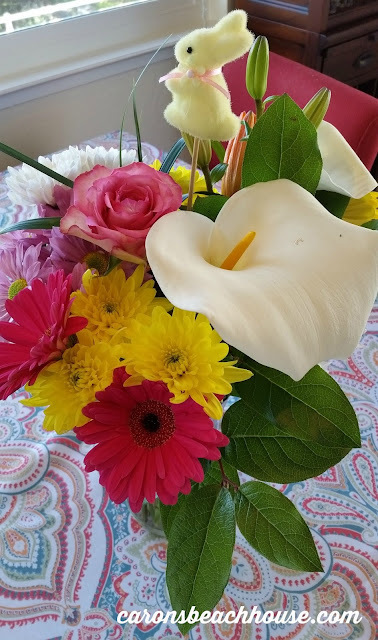 Spring here on our California Coast is especially gorgeous this year - every thing is blooming in all its' glory, from bright yellow shamrocks, to the explosion of Calla Lillies. The last several years have been a bit bleak for blooms due to our historic drought, but the El Nino rains have been very kind this winter and our plants are totally digging it! I digress... Our Caron's Beach House crew has been so busy rounding up creative, charming ideas for celebrating Easter with a coastal theme, and I had to share some of my favorites that we've found for you this year. 1. 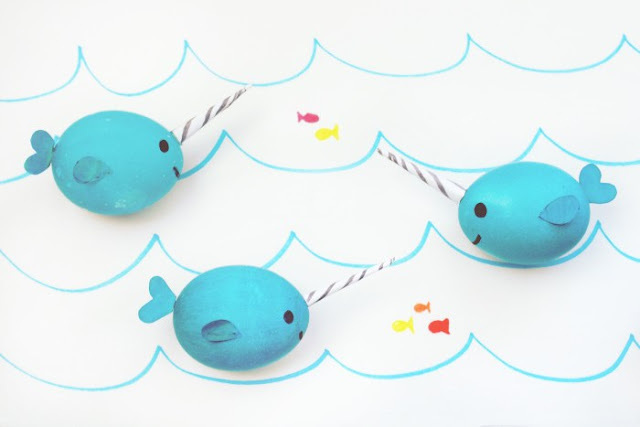 Narwal Easter Eggs - Oh my gosh, these are just too adorable! From A Joyful Riot - click for the step by step instructions. 2. 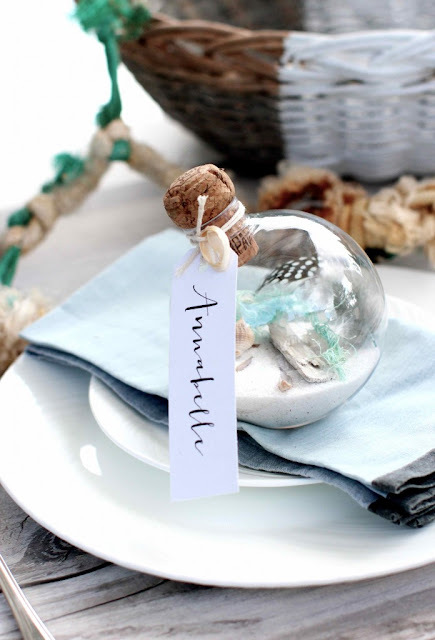 Kate's Creative Space - why save these clear balls just for Christmas? 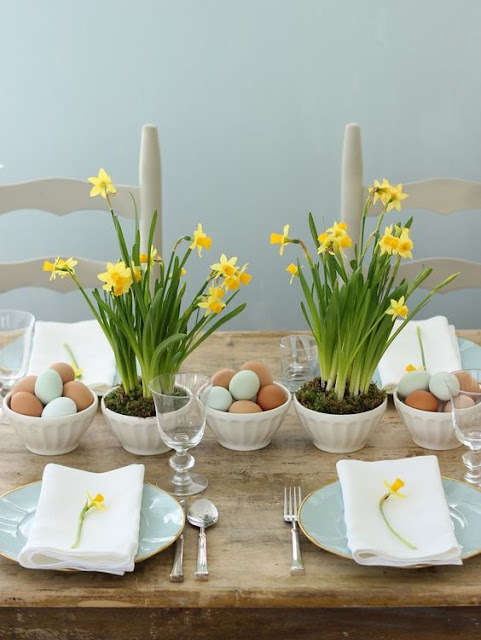 Love how she's used spring elements to create fun little place settings. More Info! 5. 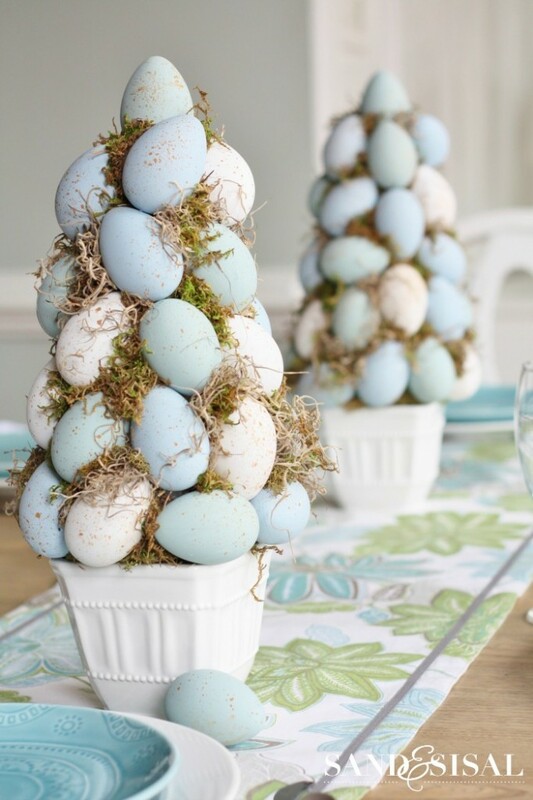 A bowl of sea-colored Easter Eggs makes a fabulous centerpiece! 6. 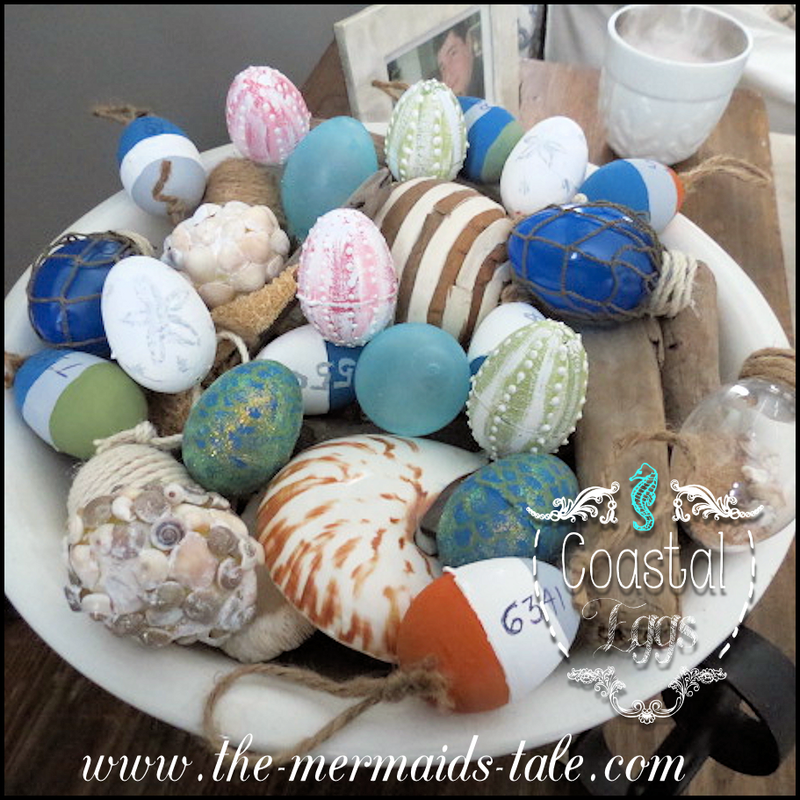 Nautical Bowl of Easter Eggs from The Mermaids Tale. Seriously, check her entire blog post - so darn creative! 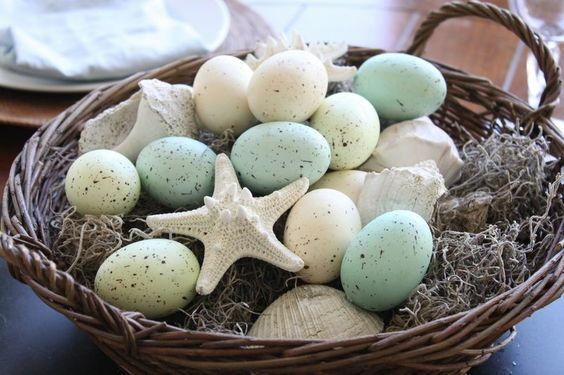 LOVE LOVE those little buoys and fish net covered eggs, not to mention the eggs sand dollar and sea urchin details. WOW - am a little envious of the imagination that went into these beauties! 8. 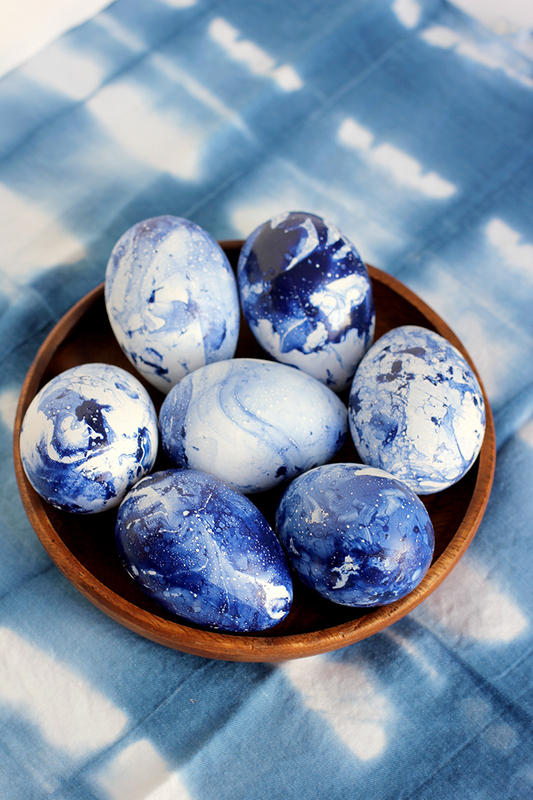 Blue Marbled Eggs from Alice and Lois - crazy cool patterns and you have to love that elegant indigo blue. How-to's on their blog - PS it's nail polish! 10, Our front door. This is about as DIY as I can get! d. Beach found treasures. have so many everywhere in my house, this was a great way to display some of them! 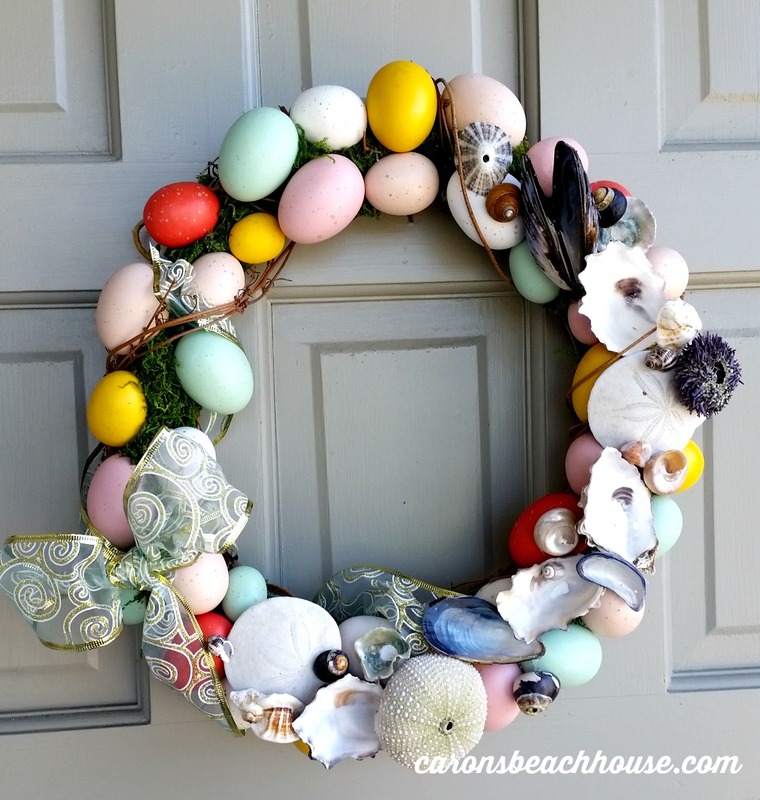 f. Voila' - Easy Easter Wreath for the front door! Have a wonderful weekend! 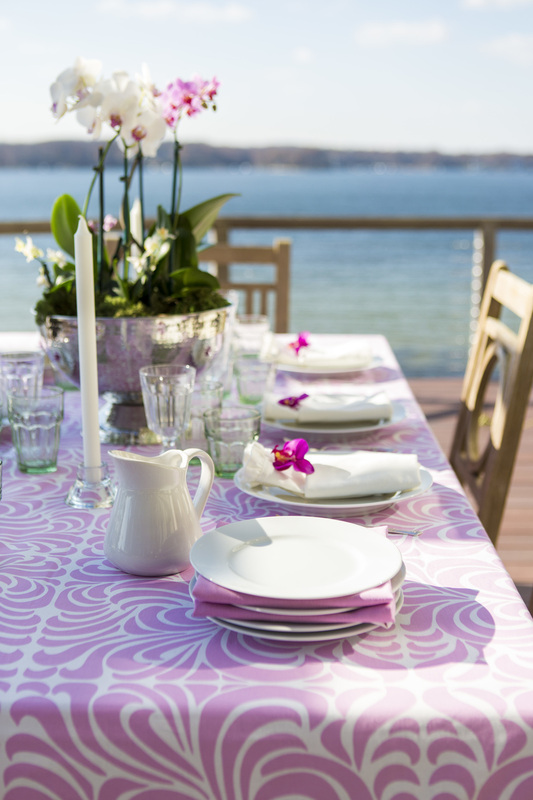 Hope we've inspired you to add a little coastal flair to your Easter celebrations.